Harry Tuzo, then General Officer Commanding the British Army (BA), said that a permanent military solution to the conflict could not be achieved. The Price sisters ended their hunger strike in Brixton Prison, England. The hunger strike had lasted six months because of a policy of force-feeding by the prison authorities. Roy Mason, then Secretary of State, announced that the strength of the Royal Ulster Constabulary (RUC) would be increased by 1,200 and that of the Ulster Defence Regiment (UDR) increased to 2,500 full-time members. He also announced that there would be more undercover activity by troops, and that the spearhead battalion would be withdrawn. Tom McElwee, then an Irish Republican Army (IRA) prisoner, joined the hunger strike. Banbridge District Council introduced a form of ‘power-sharing’. A British Broadcasting Corporation (BBC) programme made a number of claims about Brian Nelson, who had operated as a British Army (BA) agent and a Ulster Defence Association (UDA) intelligence officer. The programme claimed that Nelson had been involved in 10 murders, attempted murders, or conspiracies to murder, and that his BA controllers had know of the events. 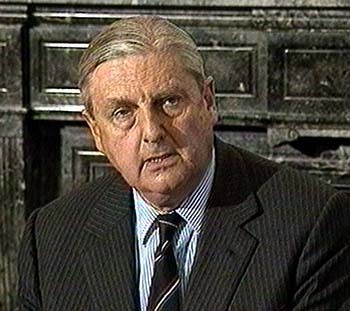 The programme further claimed that in some instances BA intelligence had failed to pass on information about planned attacks to the Royal Ulster Constabulary (RUC). Patrick Mayhew, then Secretary of State for Northern Ireland, held a meeting with James Molyneaux, then leader of the Ulster Unionist Party (UUP), in London. This was the start of a fresh set of bilateral talks. A small incendiary device was found in a snooker hall in Trim, County Meath, Republic of Ireland, following a statement by the Ulster Freedom Fighters (UFF), a cover name (pseudonym) used by the Ulster Defence Association (UDA), that firebombs had been planted in the Republic. 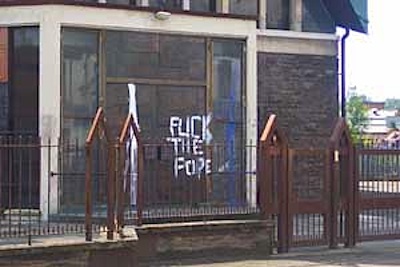 During the continuing protest by Loyalist pickets at the Catholic church at Harryville, Ballymena, there was an attempt to burn down the chapel. A parade of bands had been organised and there were violent confrontations between the Loyalists and the Royal Ulster Constabulary (RUC) with 27 officers being injured. A number of plastic bullets were fired at the demonstrators. Sean McNally (24) had to have his leg amputated following a ‘punishment’ shooting involving a shotgun. The fact that the newly established Police Commission in Northern Ireland did not contain any of the people nominated by the Irish government, on behalf of Nationalists in Northern Ireland, was thought to have caused considerable difficulties between the two governments. A leaked memo indicated that Marjorie (Mo) Mowlam, then Secretary of State for Northern Ireland, had personally contacted the Irish government, the White House, the Social Democratic and Labour Party (SDLP), Sinn Féin (SF), and other interested parties to explain her decision and to seek agreement for it. 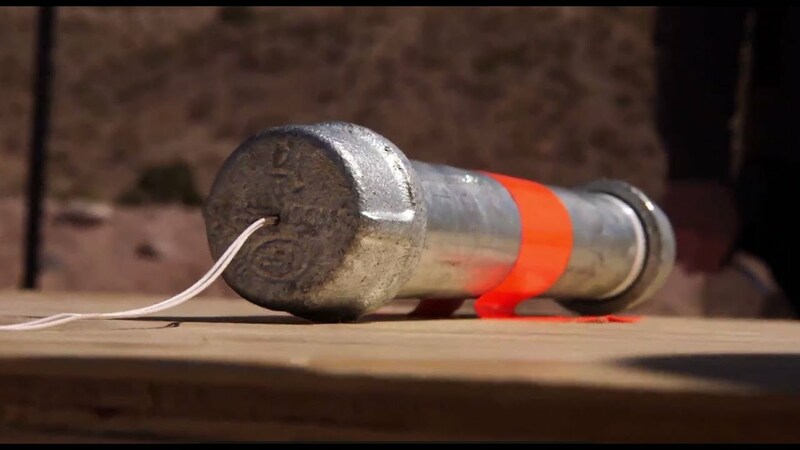 Fourteen pipe-bombs were found by Royal Ulster Constabulary (RUC) officers in the Loyalist Mourneview estate in Lurgan, County Armagh.
. Les Rodgers, then Chairman of the Police Federation, spoke at the organisation’s annual conference. He claimed that some lawyers, academics and human rights groups were part of “an evil conspiracy to vilify this police force”. He also claimed that this attempt was “being coordinated by Sinn Féin”. A Catholic mother and her 20 year old daughter escaped injury in a pipe-bomb attack on their home in Annalong, County Down. The two women were at home when the explosion rocked their terrace house shortly after 11.00pm. The attack was carried out by Loyalist paramilitaries. Shot by sniper, while travelling in car at bus terminus, Glen Road, Andersonstown, Belfast. Shot at his workplace, building site, Upper Townsend Street, Shankill, Belfast. Killed by booby trap bomb left by side of road, Legakelly, near Newtownbutler, County Fermanagh. Garda Donegan had strayed a few yards over the border into Northern Ireland. Died three days after being shot by sniper while on Ulster Defence Regiment mobile patrol, Buncrana Road, Derry. Off duty. Shot shortly after leaving his workplace, Royal Victoria Hospital, Falls Road, Belfast.